Given the hospitals are already anticipating a combined shortfall of $17 million due to such provincial funding restraint, the numbers were simply not adding up. The abandonment raises many questions about where the two hospitals go from here given the proposed marriage resulted from a directive by the Central East LHIN to work together. The two CEOs are expected to appear before the Central East Board next Wednesday (March 26) in Pickering. With the merger talks off, the Rouge Valley Health System will now need to find a replacement for CEO Rik Ganderton who announced his upcoming departure during the merger process. The community consultations went a long way to drum up support for the plan, but the significant merger costs were absent from the information initially given out by the hospitals. Once the dollar figures were made public, there was increased anxiety that such costs would come at the expense of clinical services. 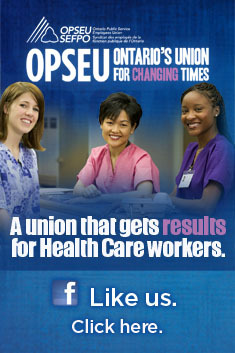 The Ontario Health Coalition held several news conferences criticizing the lack of evidence to support the merger plan. OHC Director Natalie Mehra noted that under the hospital’s own optimistic scenario it would take a decade before merger costs were ever recovered. The coalition noted much of the evidence around hospital mergers was not positive. Proposals for the capital redevelopment also flew in the face of earlier assurances that none of the three existing Scarborough hospital sites would close. One of the replacement scenarios included a single mega-hospital to replace the three. The TSH’s doctors, supportive of the plan, none-the-less made it clear to the board they would not support any cuts to clinical services to pay for the merger costs. “A successful long-term merger becomes that much more difficult if patient services are not protected in the short-term,” four members of the hospital medical staff association stated in a letter obtained by the Ontario NDP. Scarborough CEO Robert Biron had maintained throughout the process that the merger would ameliorate potential cuts to service, but never ruled out that more cuts would be coming. It’s the last part that Scarborough residents and staff at the hospital are likely to be concerned about, especially in the wake of this decision. More layoffs are expected soon at The Scarborough Hospital. This entry was posted in Uncategorized and tagged Hospital mergers, Rik Ganderton, Robert Biron, Rouge Valley Health System, The Scarborough Hospital. Bookmark the permalink.